"I am not suggesting we should not be criticised. I am just asking that we are supported in what we are doing to turn around the airline. Look at our execution plan and hold us accountable. Support our turnaround plan. I can do a lot about the future of SAA, not about its past. Just look at the work we are doing now." He emphasised that the current turnaround plan is based on setting the airline on its own path - one where it will be sustainable. "To achieve this, we must find the optimal equity and debt profile. This is an ongoing process we are having with Treasury, including finding the right funding structure," said Jarana. "We are saying that we will turn SAA around. It is doable, although it is not an easy process. Yet we believe it is possible." So strongly does Jarana believe in the potential to turn SAA around, that he was willing to accept a personal challenge from Leon Louw, executive director of the Free Market Foundation (FMF), in June this year. Louw bet Jarana R100 000 that the three-year turnaround plan for SAA would not work, and that SAA would not be showing a profit by 31 March 2021. 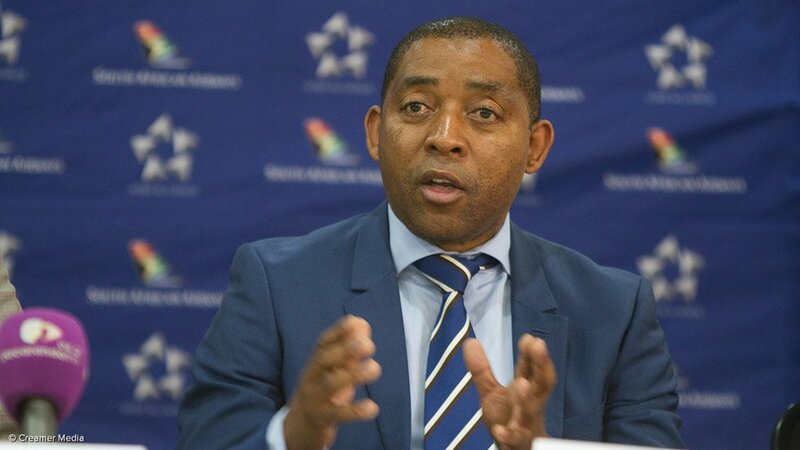 Fin24 reported earlier that on Tuesday trade union Solidarity said Jarana had indicated in a letter that SAA would "immediately" start looking for a strategic equity partner. "The shareholder and the board of SAA have agreed to commence the process of a strategic equity partner," wrote Jarana, in response to a list of questions Solidarity had posed. In April Solidarity had said it would consider heading to court to have the cash-strapped airline placed under business rescue. Due to Jarana's latest correspondence, the union has, however, decided to suspend such a business rescue application for the time being. Jarana told Fin24 on Wednesday that Solidarity wanted to base its business rescue application against SAA on three issues. These are the Auditor General's report on SAA's financial statements; the union's claims that SAA is not a sustainable airline; and that private sector expertise is needed at the airline. "I met with Solidarity to try and understand what they want. I explained that the government has already mentioned the potential of looking at a private sector equity partner for the airline in a previous mini budget," said Jarana. "We just thought it would be best to transform the airline's financial position first before we looked at private investors in order for the airline to be a more attractive proposition for potential private sector investors." Jarana said in discussions with the airline's shareholder (Treasury) it was determined that there need not be an "either/or" approach to the turnaround versus trying to find an equity partner. "In other words, we cannot just presume that there would be no private sector interest in the airline before it has successfully been transformed to be financially sustainable - even if logic says we should first transform the airline," explained Jarana. "So, we have agreed with Treasury not to wait before being open to the possibility of finding such a private sector equity partner. I have now explained this to Solidarity. This is nothing new. The idea of potential private sector investment is already common knowledge from past statements by government." Jarana added that nothing has, however, as yet been done regarding such private sector involvement. "We have just agreed with Treasury that such a possibility will be explored now already rather than first waiting for the airline to be sustainable. We have not yet framed anything in this regard. We just agreed with our shareholder (Treasury) that it will not kill us to explore private sector options now already," he added. Jarana is still confident that, with the current strategy being followed at SAA, the airline can be turned around. "We are doing all we can to move the airline forward. That includes management and the unions. It is all hands on deck," he said.